Earlier this week, Apple announced that the grand reopening of the Company Store at its One Infinite Loop headquarters in Cupertino, California is set to take place tomorrow, September 19. The store won't just sell Company Store products of Apple-branded t-shirts, mugs, and accessories, however, but be a hybrid location that also acts as a traditional Apple Store that offers visitors the opportunity to purchase iPhones, iPads, Macs and Apple Watches (via MacMagazine) [Google Translate]. One of the only features not making a debut at the hybrid store is the Apple Genius Bar. The actual design is worth noting as well, with new walls and store features made of concrete and glass and a large central screen displaying the newest products and advertisements. 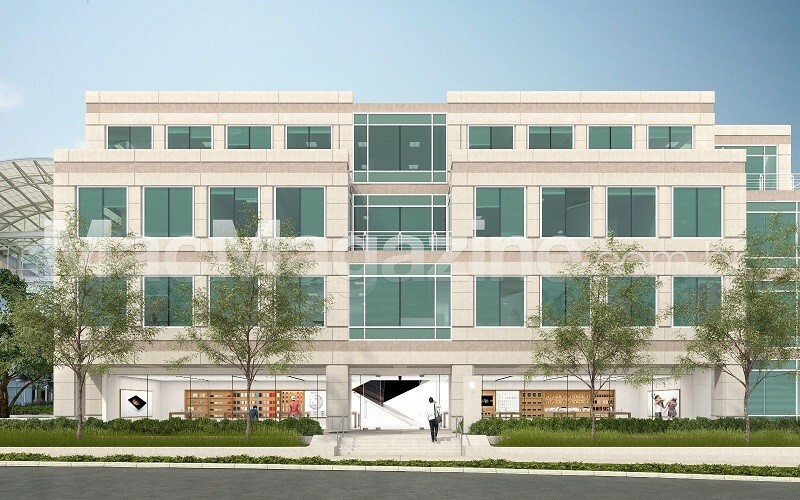 The first mockup image of the store, and information gained from MacMagazine, points to the new location bearing an overall similarity in design to the Apple Store in Brussels, Belgium that will open on September 19, as well. Makes sense. It was actually weird that they didn't sell Apple products there before. This is how it should be.